At Dreams Los Cabos Suites Golf Resort & Spa, we cater to all different types of guests – families, honeymooners, couples, girlfriends, etc. With the best interest to provide a serene and tranquil atmosphere area to our guests, we recently designated an adult-only area located in the pool that houses the Marlin Bar. As of last week on September 5, 2011, guests 18 years and older can now enjoy a relaxing experience by the child-free tranquility swimming pool. Guests with children can still enjoy our main infinity pool that overlooks the Sea of Cortes and of course our children’s pool. 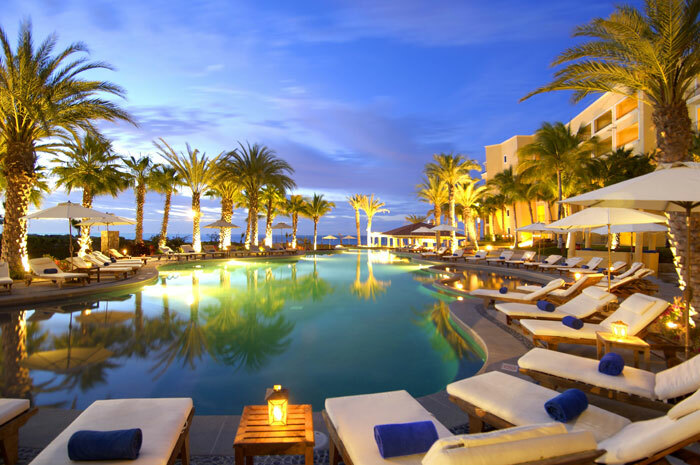 This entry was posted in Dreams Los Cabos and tagged adults-only pool, couples, girlfriend getaways, honeymooners, Los Cabos, Mexico, Sea of Cortes, serene and tranquil. Bookmark the permalink. Fantastic! This will be a welcome spot of relaxation on crowded days at the resort! Thank you for considering the needs of all your guests. Can’t wait to get back to Dreams Los Cabos and enjoy the newst of its SWEET DREAMS…Love the idea of a relaxation pool! This is hard to understand — the original pool has the hot tub and does not have a kiddy pool (the original kiddy pool is in the middle of the poolside restaurant). The newer pool has a kiddy pool and no hot tub — why would adults want to relax at this pool? I’ve had a timeshare at this hotel since the day it opened and this doesn’t sound like it will work unless there is a kiddy pool built by the infinity pool.